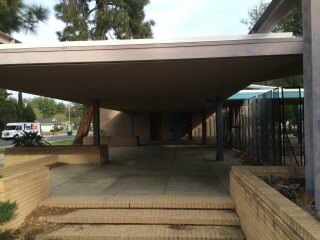 The Highlander Road Elementary School campus in West Hills has been closed since 1982 and fallen into disrepair. LA Unified Local District Northwest Superintendent Vivian Ekchian faced an angry and skeptical group of West Hills residents Thursday evening as she presented the district’s plan to redevelop a long-shuttered and dilapidated elementary school into a high school serving 500 students. The anger stemmed from the school board’s sudden cancellation last month of a plan that had been in development for more than a year by an independent charter school, El Camino Real High School, to rebuild Highlander into a K-8 campus. Ekchian spoke before the West Hills Neighborhood Council and outlined the emerging plan to convert the closed Highlander Road Elementary School campus into the Hale Academy for Visual and Performing Arts. The new campus would serve as an extension to Hale Charter Academy, a nearby district middle school. Several residents said they felt that El Camino had been open, responsive and transparent with them through the long process, while the district’s moves came without any community outreach efforts. Residents also said they are opposed to a high school being located at the campus due to the increased traffic and other problems high school students bring to a residential neighborhood. Ekchian told the council and audience that until the LA Unified school board approved the Hale plan at last month’s board meeting, she was not able to do any outreach. Several times she promised that her appearance was the beginning of an effort to engage the community. At the meeting, held at de Toledo High School, a private Jewish high school in West Hills, Ekchian outlined her vision for the new school, which is to focus on the arts, and said that a main reason for the plan is to help the district increase enrollment. LA Unified has suffered a huge drop in enrollment over the last decade, in part due to students leaving in droves for charter schools, one of several factors contributing to the district facing giant budget deficits in the coming years. The Highlander campus has been closed since 1982 and is among three other campuses in the west San Fernando Valley that have been vacant for decades after the area suffered a loss of enrollment in the early 1980s. With the exception of a private school renting the property for a few years in the 1990s, the Highlander campus has remained closed and fallen into disrepair. The campus is located in a quiet residential neighborhood, and the homes surrounding it are primarily well-groomed, single-family, suburban residences. Two neighborhood residents, Faye Barta and Mark Berens, told LA School Report of the numerous problems the campus has caused, including junk and debris filling the property, graffiti, homeless people camping out there and teenagers frequently jumping the fences to skateboard on the property and the roof. “It is a blight. It is an eyesore. It is a shuttered school, and it is one that reflects little to no maintenance and a fair amount of neglect. I use the term ‘dilapidated,’ which is probably a very good descriptor,” Berens said. During a recent visit to the property, teenagers were skateboarding in the parking lot while another group of teenagers in two parked cars played music and smoked cigarettes. 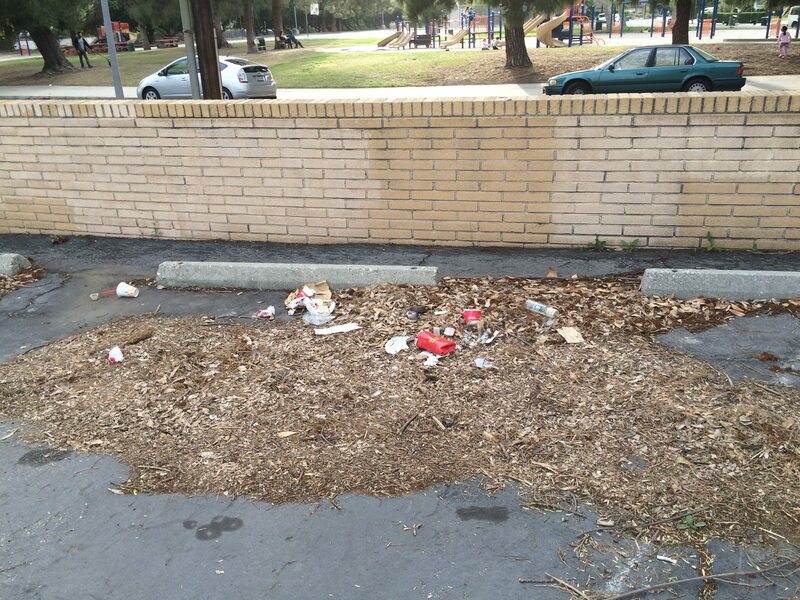 Piles of dry leaves and pine needles that appear to have built up over several years fill the parking lot and along the fence line, creating a potential fire hazard. 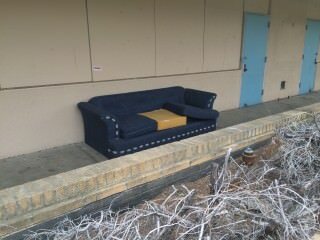 Junk was strewn about, including a discarded couch. After district officials said repeatedly over the last few years that LA Unified had no money to rebuild the schools nor any enrollment need in the area for them, the district put out a request for proposal for the four closed sites in 2014, and El Camino was later named the preferred developer of three of them: Highlander, Oso and Platt Ranch. Since 2014, El Camino officials have held a series of outreach meetings and adjusted their site plans in response to community concerns, according to neighbors. Barta estimated that approximately 75 percent to 80 percent of neighborhood residents supported the El Camino plan. In November during a vote to approve El Camino’s charter applications for Oso and Highlander, district officials announced a sudden reversal. Then-Superintendent Ramon Cortines announced a desire to build a magnet school at the Oso campus, and board member Scott Schmerelson announced that Ekchian was developing a plan for Highlander, although the details, including Hale’s involvement, were not released at the time. Previous to the West Hills meeting, Berens told LA School Report he found the district lacked transparency, and he repeated similar comments to Ekchian at the meeting. The LA Unified plan to develop Highlander by spending $50 million of bond money comes as the district is in need of up to $60 billion to fix and modernize its existing schools, while only $7.8 billion in bond funds is available. 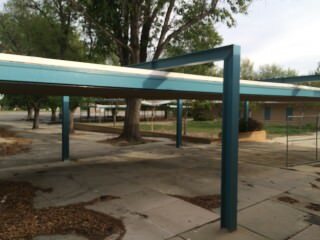 Other than the new plans at Highlander and Oso, the district has no current plans to build any new schools, and LA Unified Chief Facilities Executive Mark Hovatter told the board last month that in order to free up money for the new schools, other renovation projects would have to be cancelled. Barta told LA School Report that she does not believe the district has the money to develop the sites, and she repeated those comments at the meeting. “They don’t have the money to do it. So they are wasting the $500,000 and they are wasting everybody’s time and they are letting that school sit and rot,” she said. During the West Hills meeting, the roughly 25 members of the council did not express much skepticism or ask hard questions of Ekchian. But several members of the audience, which also numbered about 25, did ask tough questions, and after Ekchian’s presentation, about a dozen local residents joined her in the hallway to ask more questions. Many of the residents were animated and angry. Ekchian promised she would be responsive the community’s concerns and that the process would be transparent. “I’m not going to do this without you, because it will be a failure upon arrival if we don’t have the community on board,” she said. Some residents said they were skeptical of the timing, that just at the moment El Camino’s plan was set to be voted on by the board after a year and a half of planning, the district announced its own plan after 33 years of letting the property sit empty. Other residents then chimed in with questions, and Ekchian did not directly respond to Field’s question. But during the meeting she had said that despite all appearances it was essentially a coincidence that she came forward with her plan — which she said had been in the works for some time with the Hale staff — just as El Camino’s was set to be voted on. “There is nothing that we have concocted. I could have brought to you 500 students and teachers and parents who would argue with you that it wasn’t concocted,” Ekchian said. Barta asked why the district wasn’t interested in using the Platt Ranch site because it is closer to Hale than Highlander. El Camino’s plan for Platt was to develop it into a science center that would not house any full-time students. “In response to Platt, it is also a part of El Camino’s application process. … I can’t negotiate who gets which school,” Ekchian said. But Highlander was also part of El Camino’s plan, and Ekchian did not address the discrepancy. LA School Report asked about the $60 billion needed to fix the district’s current campuses. If the reason to expand Hale is to increase enrollment, doesn’t the district’s other neglected campuses, which include failing air conditioners and an array of other shortfalls, also turn off prospective parents and students? Ekchian also told the residents that if the current plan for Highlander did not come to fruition she would advocate for the district to at least tear down the existing structures. But if the district were to only tear down the buildings and not build new ones, it would need to use general funds out of its operational budget and not bond funds. Ekchian told LA School Report she would still advocate to tear the buildings down even if it meant using general funds to do so.